Wood flooring is timeless. It enhances the warmth of any home and complements the decor of any room. Like a fine piece of furniture, wood flooring increases in value and becomes more beautiful with time. Solid wood floors are one solid piece of wood and are generally 3/4" thick. Because solid hardwood floors are more susceptible to moisture than engineered wood floors they should only be installed above grade over approved wooden subfloors and must be nailed-down. Solid wood floors can generally be recoated and refinished several times. Unfinished floors require several days to install, stain and finish the flooring. 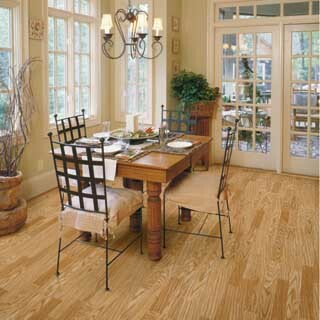 Prefinished floors are less messy and can be installed and completed the same day. Laminate flooring offers a wide selection of designs that offer the look and feel of beautiful hardwood, ceramic tile, and slate. It is actually a composite that's designed to endure more than average wear and tear. A high-pressure manufacturing process fuses layers into one extremely hard surface. 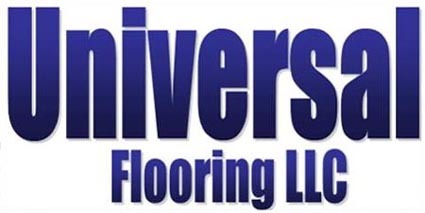 Most engineered floors can be glued-down, stapled-down or floated over a variety of subfloors including wood, dry concrete slabs and some types of existing flooring. Engineered hardwood floors have cross-ply construction which reduces the expansion and contraction of planks caused by variations in humidity and allows these floors to be installed anywhere in the home.